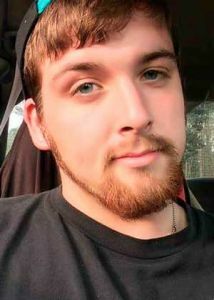 Joseph Bernard Gentile, 23, of Peachtree City, Ga. (formerly of Goshen, N.Y. and Granville, N.Y.) was taken home on May 2, 2017, far too early for us left behind. He was born in Middletown, N. Y. on April 2, 1994 to Bernard and Jean Gentile. Joseph was a young man strong in body, who always had a special affinity for babies and animals and who was always there to lend a hand. His heart was open and he was a trusted confidant. Joseph was a loving son and big brother. Joseph attended McIntosh High School in Peachtree City where he cultivated friendships that last beyond his days. Even friends from his childhood in New York will always remember Joseph’s open, gregarious, and spontaneous spirit. In his school years, Joseph played soccer, football, and little league baseball. He enjoyed music of many genres and played alto saxophone. He loved riding on ATV’s and dirt bikes. Joseph enjoyed on-line adventure gaming. He had an innate mechanical aptitude that was only just beginning to be cultivated. Joseph was employed at A Better Way Ministries, where he was treated like family and to whom we will always be grateful. Our sorrow is deep, but we know that his loving soul has been brought into the arms of God. Joseph is survived by his mother, Jean Felts; father, Bernard Gentile; stepfather, Alan Felts; sister, Christine Sloop; and brothers, Michael Gentile and Alan Felts Jr.
A memorial service will be held on Sunday, May 7, 2017 at 2 p.m. at Mowell Funeral Home in Peachtree City.